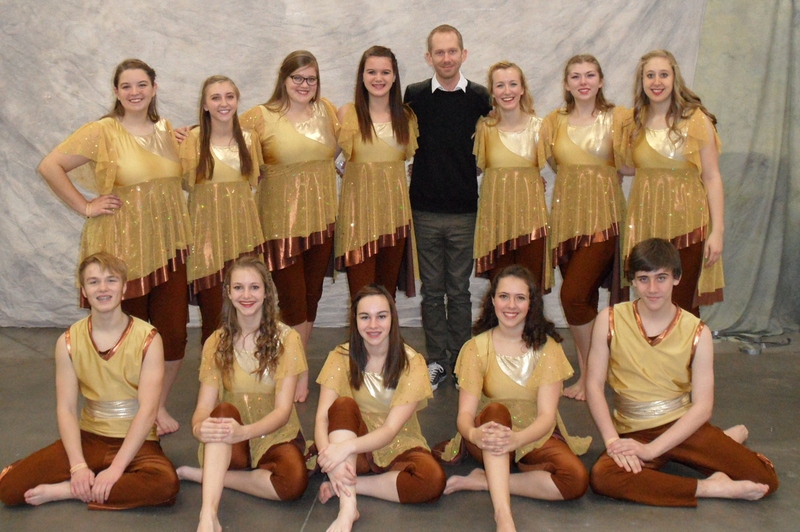 Congratulations to the 2014 Ankeny High School Winter Guard on an outstanding finish to their 2014 season. The guard finished 2nd in Class III Color Guard at the Iowa State Dance Team Association Championships on Friday, December 5. The winter guard also earned a Distinguished Academic Achievement Award from ISDTA for earning a GPA of 3.5-4.0. Members of the Ankeny Winter Guard include: Amber Smith, Lauren Beauchamp, Rachel Soppe, Katie Bleeker, Hudson Haws, Sydney Ofstein, Jack Noonan, Lizzy Humpal, Alex Sigel, Sara Kottra, Catherine Toth, and Aly McGuire. Coaches are Darrin Mell and Jennifer Williams.